We here at TheTomablog value every single one of our readers. If it wasn't for you guys (and gals) it would be pretty lonely around here and we wouldn't have the opportunities that keep coming our way because of this blog. So whenever we get the chance to help somebody out, we jump at the chance to show our appreciation for them visiting our blog. Today is one of those times. Our friend and supporter of TheTomablog, Liz, needed some help spreading the news about an upcoming event she's a part of, and it's for a good cause, so of course we agreed to help her out. The Zumba is for a guy from Mount Aloysius College who is going on a mission trip to Honduras on June 22. The party is June 8th from 12-2pm at Franklin Firehall. 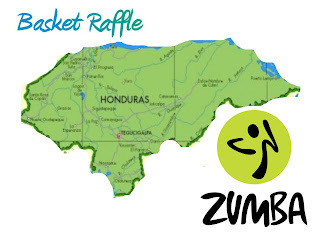 It's $10 to work out for the 2 hours and we'll also be having a small basket raffle and 50/50. All money made will go towards Luke's trip to Honduras. She would also like to say, "Thanks so much for the help and support!!! GO HAWKS"
Tomablog is a Johnstown Tomahawks fan web site that is in no way affiliated with the Johnstown Tomahawks, NAHL, or its Properties. This site is for informational and entertainment purposes only. Tomablog is not an official web site for the Johnstown Tomahawks.